Is That an Expedition Yacht? Depending on how often it leaves the dock, the answer may surprise you. 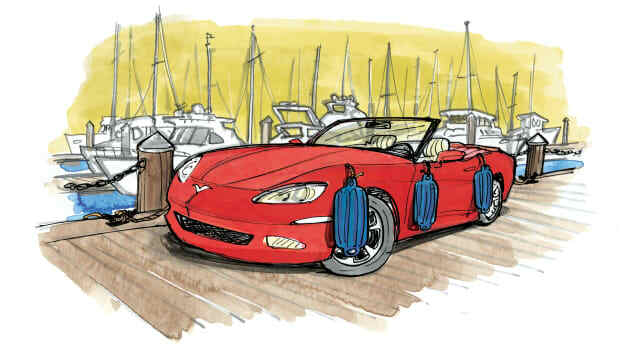 Boating trends usually lag behind automotive trends by several years. Luxury on wheels used to mean long, low sedans with floaty suspensions. In the bygone era of my youth, boulevards in the nicest zip codes overflowed with Fleetwood Broughams and Silver Spurs. Now most luxury cars aren’t cars at all: they’re tall trucks with stiff suspensions to control their 5,000-pound mass on low-profile tires. Marina parking lots are stuffed with GXs, LXs, MDXs, MKXs, Model Xs and maybe your ex’s X. But with these inelegant alphanumeric names, a hint of adventure lingers in the windshield—a vibe which no Seville could possibly conjure—right where a hood ornament used to soar. So it’s hardly a surprise that the sport-utilization of boats has emerged in the wake of this automotive preference for vehicular capability, real or perceived. 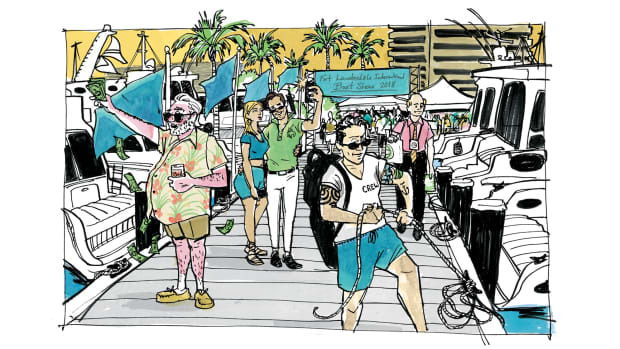 Yachts are no longer designed and marketed as blue blazer support devices, but as platforms for adventure. 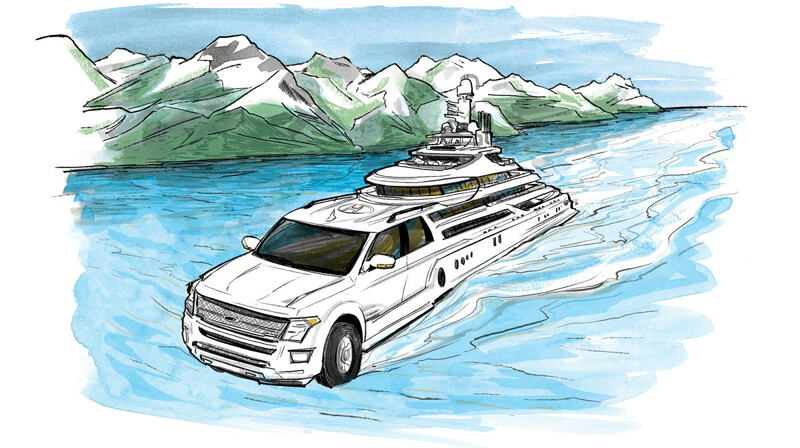 This has given rise to the term “expedition yacht.” If an SUV is one’s idea of luxury on wheels, it follows that one’s boat would match the rest of the wardrobe. 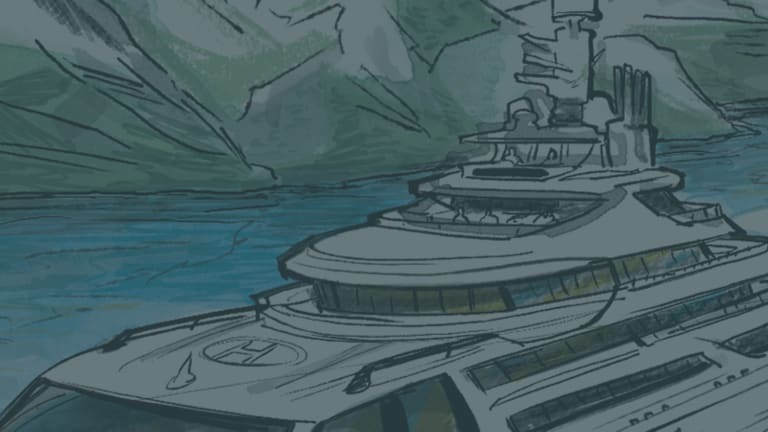 Over the past several years I’ve been asked in design symposia and by publications around the world, “What exactly is an expedition yacht?” At first I took the question seriously. Not so much anymore. Why not? 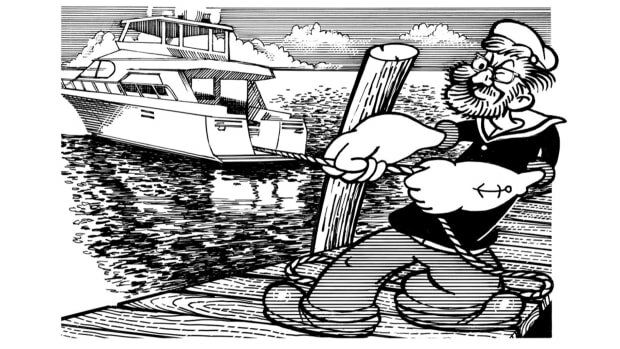 Because I think every pleasure boat is of the “expedition” variety, be it a canoe, a 17-foot flats boat or a 250-foot, globe-trotting superyacht with a 200,000-gallon fuel capacity. 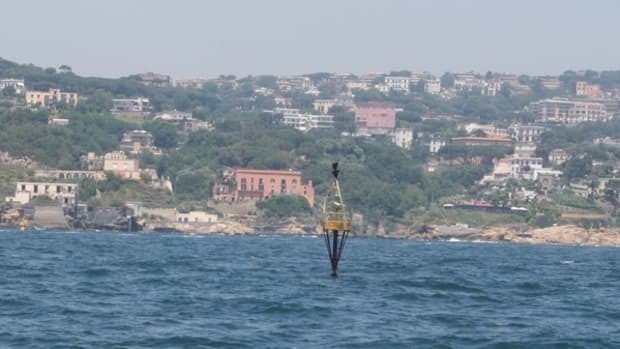 But said vessel can only allow its owners to explore if they actually point the bow away from home. 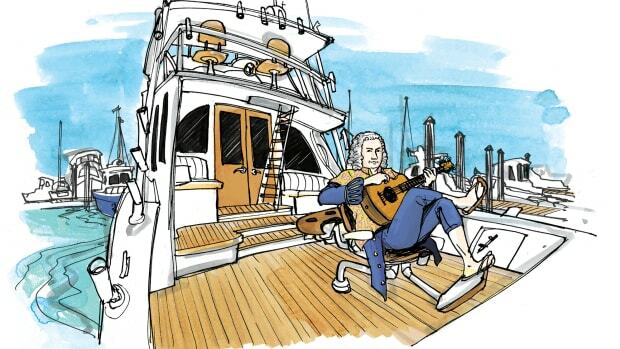 That 250-footer doesn’t qualify as an expedition yacht if she’s tied to an industrial pier 50 weeks per year, keeping blue blazers out of the elements. A few years ago I kept a 12-foot open fishing boat at our summer cottage, aboard which my young family explored nature and nerve with 9.9-hp on tap, busting through three-foot wakeboat surf while my young son held on for dear life, loving every second of it. Expedition skiff? Check. 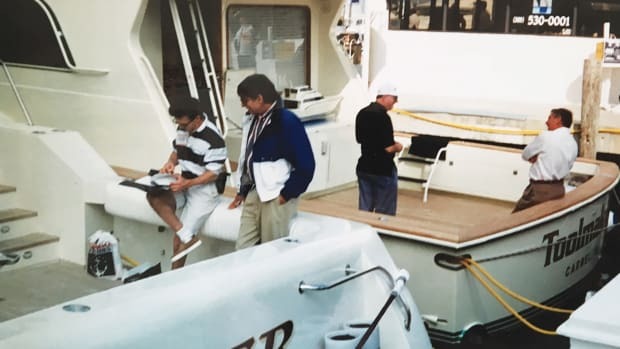 As a kid myself, our family would cruise for weeks at a time aboard 25- and 30-foot cruisers discovering backwaters and beaches along the way, often with sizable flotillas of like-minded families making memories. We were exploring every day. Expedition cruiser? Check. Now my family cruises Lake Michigan with a sportfishing boat. We typically cross this inland sea twice a summer, covering hundreds of nautical miles on each adventure. Last summer we pulled within feet of the half-submerged wreck of the SS Francisco Morazan. The sight of hundreds of black vultures perched on the rusting superstructure was hair-raising. Thirty minutes later we were anchored off a coastal sand dune that “Good Morning America” called the “most beautiful place in America.” Expedition convertible? Check. It’s in our spirit to explore beyond the horizon; expeditions helped build America, after all. Ford has built over 2 million Expedition SUVs in the past 20 years, and almost 8 million Explorers, so the sport-utilization of boats, big or small, popped from a mold or fully custom, makes sense as our taste in conveyances evolves. 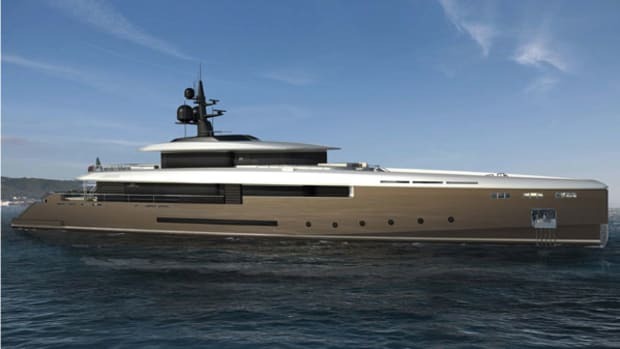 And while a new, mission-specific “expedition yacht” should be self-sufficient at sea and at anchor for a longer period of time than a typical boat of similar size, any yacht can and should be an expedition yacht. So get out there as often as you can. 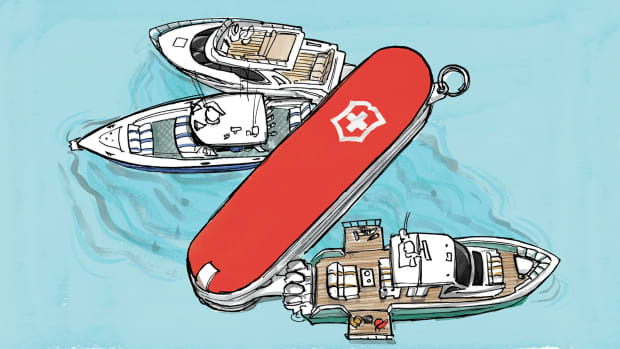 Make the most of your boat’s capabilities. Do a little planning and point the bow to the farthest horizon you dare. Bring your kids and your dog and create memories for a lifetime. 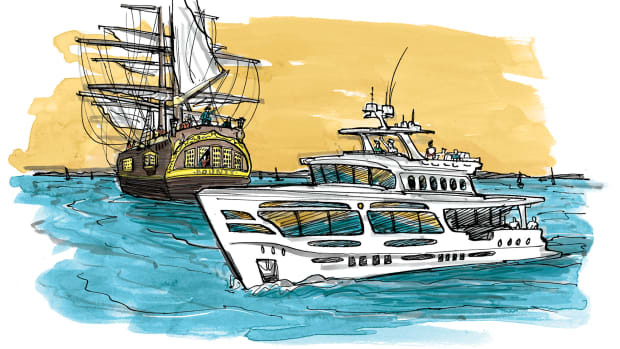 Make your boat an expedition yacht!